Fishing has continuously been significant to Cornwall's economy, and there are still quite a few seaside fishing villages In Cornwall, UK that have retained their unique character and charm. They are a perfect place to spend the day on the beach with the kids or in a secluded beach cottage for a romantic weekend vacation. These Cornwall fishing villages are among some of the most picturesque tourist destinations in the United Kingdom. Nestled between Lizard and Coverack is the fishing village known as Cadgwith. During the 1500s, because of its protection from the winds, it was first established by local villagers for building fish storage rooms built of straw and stone. 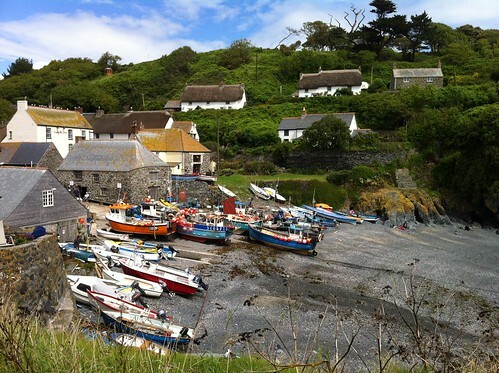 Today, Cadgwith Cove is a favorite of locals and tourist for its great beaches, restaurants, pubs, cottages and Inns. The scenery and ocean view here are spectacular! 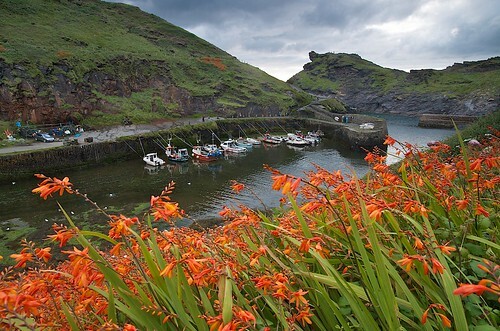 Boscastle is a seaport with an innate harbor that is located on a remarkably gorgeous stretch of shoreline. It is only five miles north of Tintagel and was rebuilt after a devastating flood in 2004. Boscastle is home to the legendary Witchcraft Museum, which presents a morbid aspect of Cornwall's dark side. The tiny harbor has many small fishing boats and a path winds alongside a strong current stream that leads to the discovery of a number of concealed churches. Sennen Cove is most popular with the sunbathers and surfers. To this day, it has one of the prettiest sections of beach in all of Cornwall. Even with all the beach activity that goes on here, Cornwall has managed to preserve the setting of a genuine timeworn fishing village. There are several shops here that sell everything from delicious food to interesting souvenirs. The Charlestown seaside fishing village is near the town of St Austell. It is an exceptional illustration of a working seaport from the 1700s. Charlestown is a postcard perfect example of fishermen's old cottages made of stone with a remarkable fleet of ships in the harbor. This seaside port is rich with history and an ideal place for letting your imagination run free. 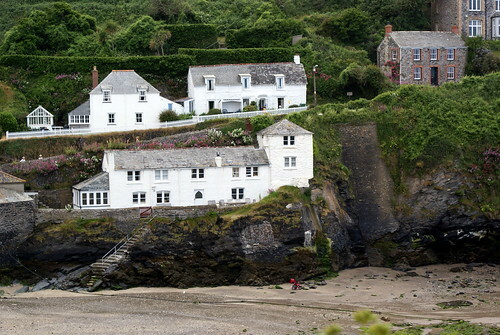 Situated near Padstow, on the northern coast of Cornwall, sits the fishing village of Port Isaac. It has been a working port since the early 1300s, and the scenery here is absolutely breath-taking. The village consists of charming houses made from a mix of granite and slate that are positioned along narrow twisting streets. With the stunning views and the captivating harbor, it is easy to see why it was chosen as the location to film the popular television series, 'Poldark'. This is a great port to book a sightseeing trip that leaves from the harbor and then returns you for a fabulous meal at one of the local restaurants. There is so much to see and do in Cornwall, but the seaside fishing villages are certainly a must-see for everyone. While there are no doubts that these fishing villages are among the most picturesque tourist destinations in the United Kingdom, they may just be some of the most picturesque seaside fishing villages in the world. Best of all, there are many accommodations and attractions close to all of these seaport villages that are sure to please the entire family. Abi writes forCove Cottages the St Agnes Cottages specialists. For a real St Agnes Holiday visit http://www.covecottages.co.uk.